The Unleashed Unlimited doggie day care is fun alternative to leaving your dog at home for the day. We offer flexible drop off and pick up times that accommodate most work schedules and you can rest assured that your dog is having fun and being properly cared for while you are out of the home! 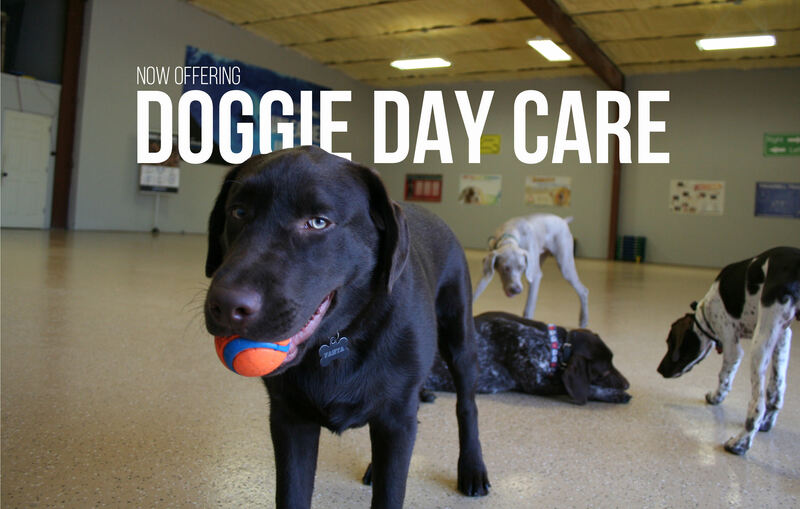 Doggie day care provides the perfect format for your dogs to socialize with other dogs, get some exercise, be entertained for the day, burn off some of that extra energy and come home tired! We utilize a free-play format where your dog will have the opportunity to socialize, interact, and play with their friends all while be monitored by our trainers and staff to make sure that everyone stays in line and has fun. What a way to spend the day! Drop off and pick up any time between the hours of 7am and 7pm. Too hot, too cold, or too wet? Not a problem here. Experienced dog handlers monitor and supervise all dogs. Required evaluation process helps ensure the right mix of dogs. What Time Are Pick Up and Drop Off? You may drop off your dog anytime after 7AM and all dogs must be picked up before 7PM. Dogs that are picked up before 1PM will only be charged for a half day of doggie day care. Dogs that are dropped off after 12PM will also be charged for a half day of doggie day care. How Much is Doggie Day Care? A full day of doggie day care is $30 and a half day of doggie day care is $25. Is Unleashed Unlimited Climate Controlled? Yes, our entire 7,500+ sq ft facility is climate controlled with heating and air conditioning. In addition, we have a small fenced outdoor area that is used for potty breaks and smaller play groups and we also open the doors and enjoy the breeze when the weather is nice! Do I Need a Reservation and How Do I Make One? Reservations are required for first-time guests and can be made by scrolling to the bottom of the page, clicking on the registration button and going from there. 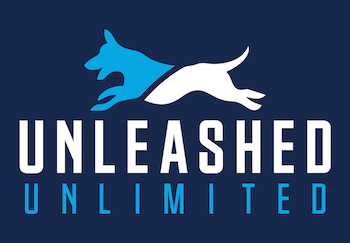 If you do not already have an account with Unleashed Unlimited, you will be asked to create one so that you can easily book future appointments, reschedule appointments, and more. You will be sent an email confirmation once the registration process has been completed. Existing doggie day care guests are welcome to drop in without a reservation. Do I Need Proof of Vaccinations? Yes, shot records are required for all dogs participating in doggie day care. Your dog will be denied acceptance without proper documentation. Please bring a copy with you on your first day of doggie day care or send over a copy to info@unleashedunlimited.com. You will not have to keep bringing your shot records once we receive a copy of them. We will keep your records on file and we will update you as one or more vaccinations nears expiration. Your dog has to be up to date on rabies, distemper, lepto, parvo, and bordetella to participate in doggie day care. Will My Dog Be Playing with Aggressive Dogs? No. All dogs must pass a screening process before coming into our doggie day care program. All dogs are monitored by TRAINERS and all escalating behaviors are interrupted. Do the Dogs Play Non-Stop for the Whole Day? For the most part, yes! If needed, we give all of the dogs an afternoon nap/time out session to let them relax, chill out and recharge. Giving the dogs a short break helps prevent the dogs from getting overly tired and cranky. What Can I Expect During the Screening Process? The screening process is first arranged by creating an account with us and completing the registration process for the event called “First Day of Doggie Day Care”. You can then send over your shot records to info@unleashedunlimited.com or bring them with you on your first day of doggie day care. During your dog’s first day of doggie day care, your dog will be slowly integrated into a carefully selected pack and evaluated and managed by members of our training staff. This is done slightly different for each dog and can take some time to ensure we are not going too quickly. An integration video is posted above but can also be found here. What Happens if my Dog Fails the Screening Process? You will be notified if we believe that doggie day care is not the appropriate socialization format for you dog. Upon notification, you will have the option to come and pick up your dog or have them finish out the day with us and where we will continue to manage and supervise them in a safe and appropriate manner until the end of the day. Do I Have to Be an Unleashed Unlimited Training Client in Order to Participate? No, you do not have to be an Unleashed Unlimited training client to participate join our doggie day care; everyone is welcome! What is the Minimum Age for Doggie Day Care? Dogs must be at least 5 months of age and must be complete and up to date on all shots. Refer back to the vaccination FAQ for more details. Where is Unleashed Unlimited Located? Unleashed Unlimited is located at 15300 Hero Way West (aka 2243) in Leander. Please bear right up the driveway and park where you can. Our main entrance is in the front of the building near the fountain. Be sure to keep your dog on-leash and take your dog to the grassy area for a potty break before coming inside. This video may help you find us. Please only bring your dog, a properly fitting collar, and leash. If you are a training client, please also bring your training equipment. We will provide water, treats, and everything else your dog needs. What Days of the Week is Doggie Day Care Available? Doggie day care is offered every Monday, Tuesday, Wednesday, Thursday, and Friday (with the exception of holidays). A list of holidays where will we not be offering doggie day care are listed below. Are Training Sessions Available During Doggie Day Care? Yes! We have training packages available as well as a la carte lessons for existing clients. Please ask for more details. What Other Services are Available During Day Care? We offer nail trims, baths, ear cleanings, as well as furmintator and deodorizing service. Do You Offer Discount Passes for Frequent Attendees? Absolutely! In addition to simply doing a standard drop in rate of $30 per visit, we also have discounted passes for our frequent guests. All of these passes are set up on an auto-renew format and will be charged to the card of your choice on file with our system. There is no term contract on these passes and they can be canceled at any time. Please ask any one of our training staff for more details or to enroll. Please contact us with more questions about our passes or to get enrolled in one of these passes. Do You Also Offer Boarding? We sure do! Unleashed Unlimited offers boarding to our existing clients as well as non-clients. All dogs must be up to date on vaccinations and have to be well-behaved in a crate. More information can be found on our boarding page. Click the button below to register for doggie day care. You will be asked to create an account with Unleashed Unlimited during the registration process. Creating an account will allow to easily book and reschedule future doggie day care sessions, securely upload your preferred payment method, and more. If you already have an Unleashed Unlimited account, please login using those credentials. If you have any issues with the scheduling process or would like to speak with someone, please call us at 512-778-0280. Sign Me Up for Doggie Day Care!